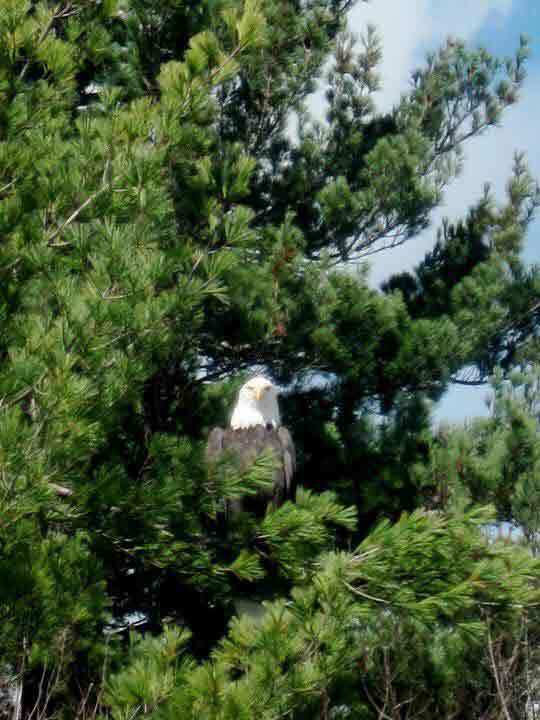 Adirondack bald eagles are a rare sight, and are found exclusively in North America. While they were once an endangered species, they were removed from the federal list of threatened and endangered species in 2007. 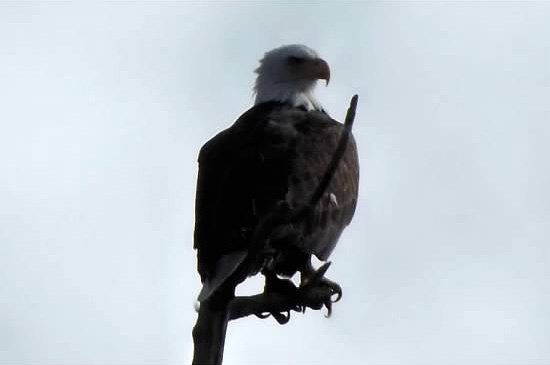 Bald eagles are still on New York State's list of threatened species, though. 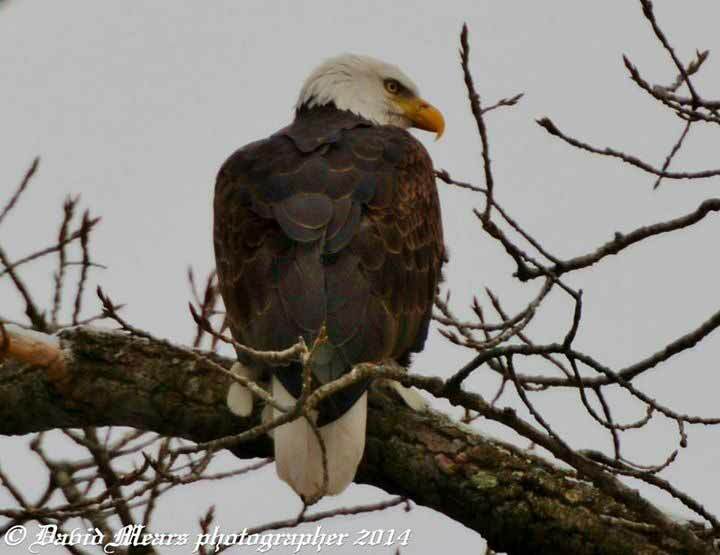 Bald eagles disappeared from the Adirondacks in the early 1960's, but began their resurgence in the late 1970's. 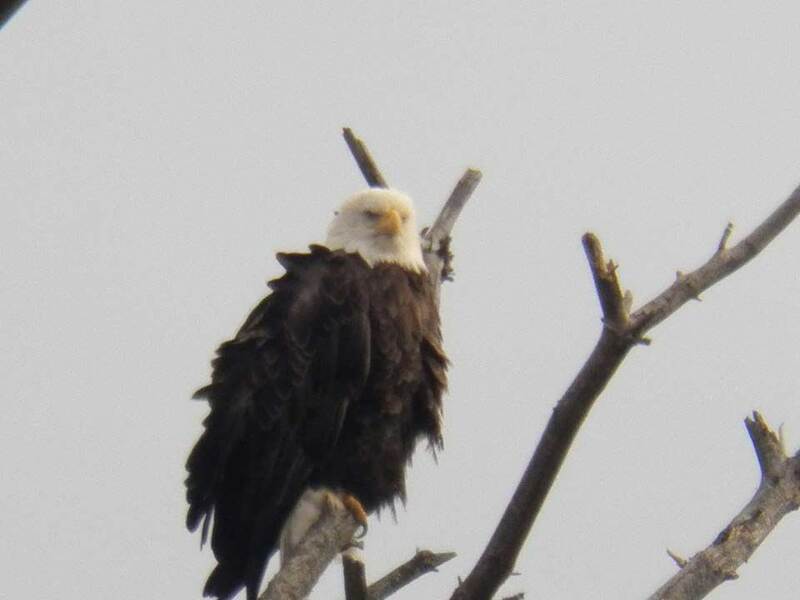 The New York State Bald Eagle Restoration Project brought nearly 200 nesting bald eagles from Alaska and other hotspots and released them in New York to begin repopulating the Adirondack Park. This process is called "hacking", and it proved to be extremely successful. 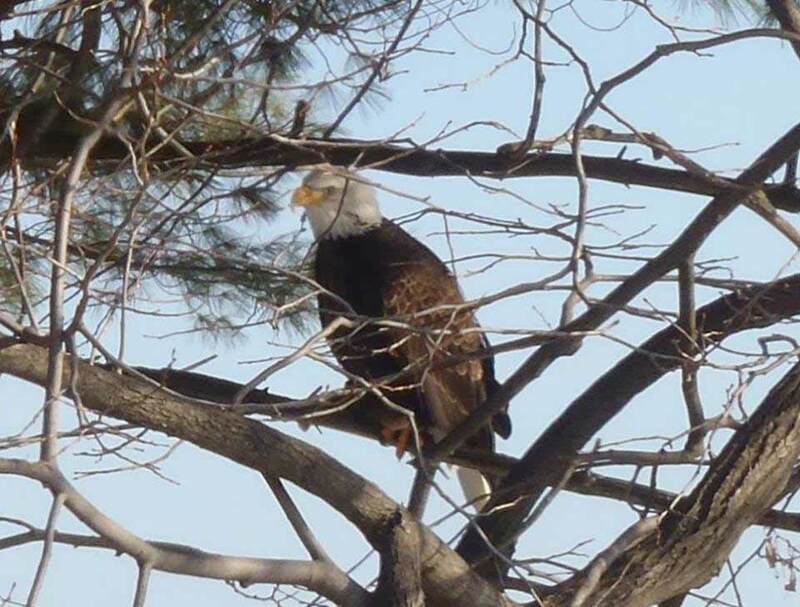 In 2010, the DEC reported that there were 173 breeding pairs of bald eagles throughout New York State, and the number of young eaglets each year continues to increase. 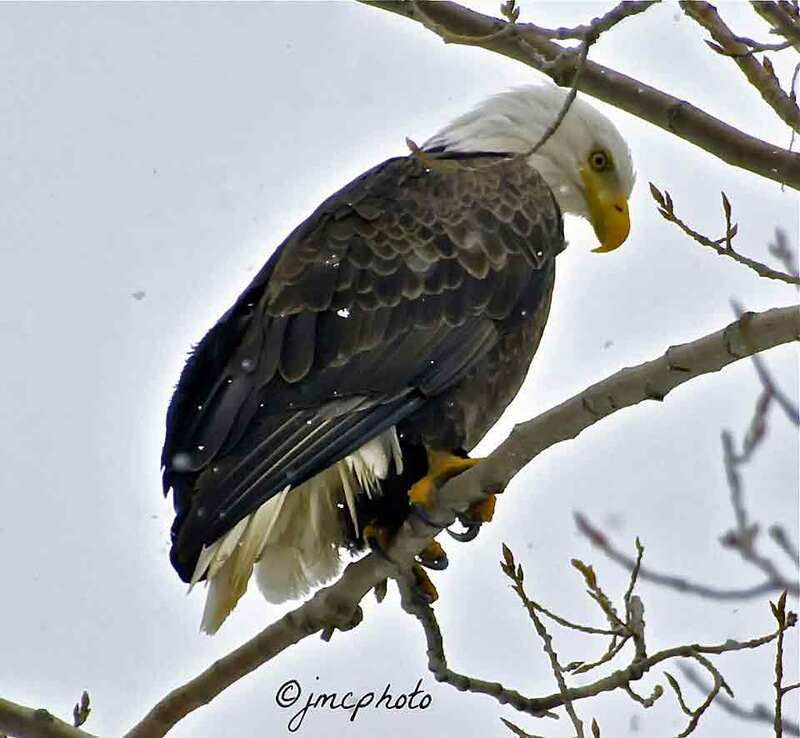 Although bald eagles are no longer on the list of endangered species, they still enjoy the protection of three different acts: The Bald and Golden Eagle Protection Act, The Migratory Bird Treaty Act, and The Lacey Act. These acts prevent people from taking, selling, or exchanging bald eagles, their nests, or their eggs. There is currently a penalty of up to $20,000 and/or one year in jail for any person who harasses, disturbs, or injures a bald eagle, as these actions are considered federal offenses. 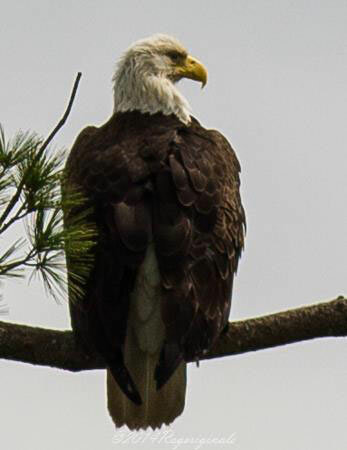 The Department of Environmental Conservation has identified habitat loss and alteration and human distubance of breeding sites as the primary threats to bald eagles at this time. With that in mind, the DEC developed the following etiquette and viewing tips for those who wish to see bald eagles in the wild. 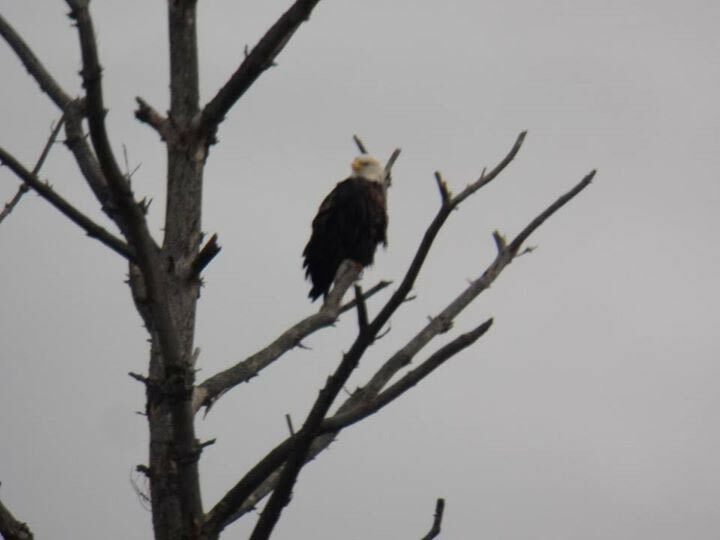 It is anticipated that with the protections that are currently in place, the bald eagle population in the Adirondacks will continue to thrive! 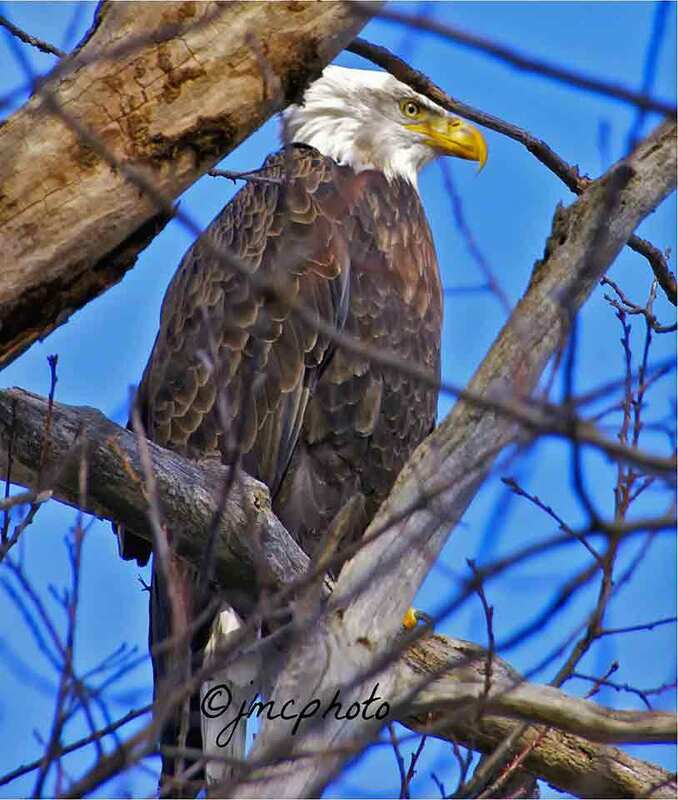 The word "bald" in the name comes from the Old English word meaning "white headed"
Check out some great shots captured by our Facebook Fans!